This document has described a new Veeam Cloud Connect environment, where every component is deployed from scratch. Chances are however, as the software matures and is updated with newer versions, that service providers need to upgrade an existing environment with the latest version. 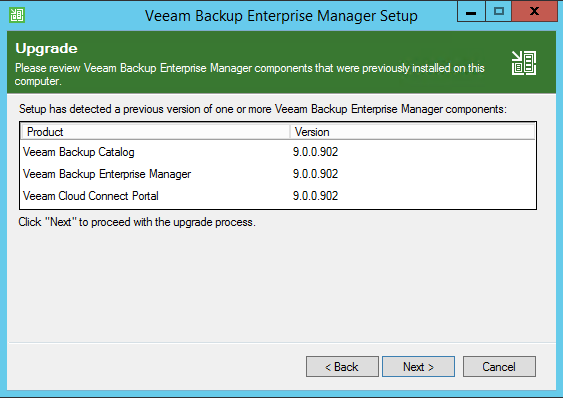 This chapter describes the steps required in order to upgrade Veeam Cloud Connect from v9.0 to v9.5, which has been proved so far to be the major step forward in the software. Other upgrades can be executed without specific recommendations. 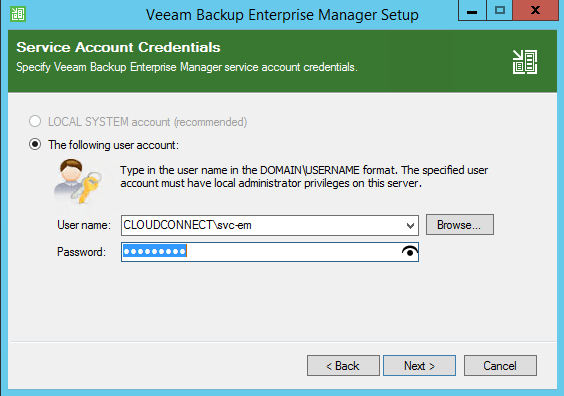 Nonetheless, the general concepts and the steps described here can be used as a reference also for other upgrades of Veeam Cloud Connect. 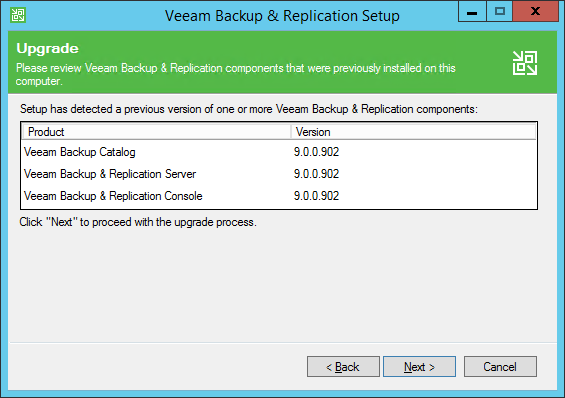 This document assumes that the Veeam Backup & Replication installation where Cloud Connect is running is updated to the latest v9.0 version, that is Update 2 (Build 9.0.0.1715). Update 2 can be obtained at the following link: https://www.veeam.com/kb2147. This is however a warning, and tenants can proceed in their upgrade process. The final result is that tenants are running a version that is newer than the one used by service providers. Also, if tenants follow the warning and delay the upgrade, they are not able to use any new feature available in v9.5 (or any following version) until their service provider updates his own installation. 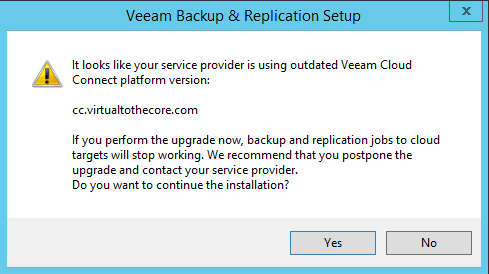 NOTE: the upgrade process requires some downtime of the Veeam Cloud Connect service. During the upgrade process no data will be lost, but services will be temporarily stopped to proceed with the upgrade. This means that tenants will not be able to consume the service, and any scheduled job running during the upgrade process would fail. Please plan accordingly and warn your tenants about the upcoming maintenance. 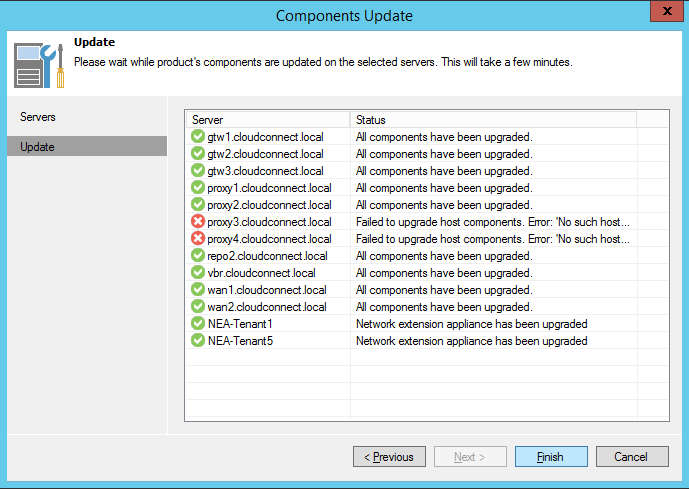 The installation completes and the new version of the Enterprise Manager is already running. You can verify its status by opening it using the shortcut saved on the desktop, and you can also test the new Veeam Cloud Connect Portal. 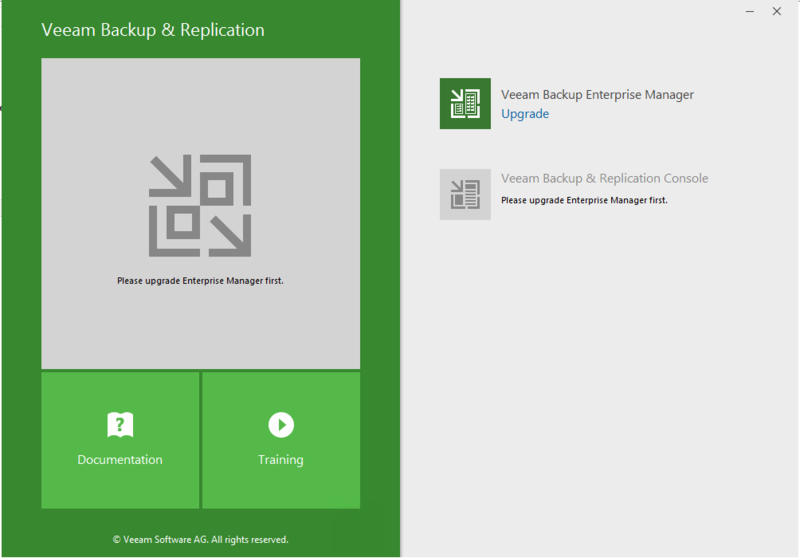 The Enterprise Manager 9.5 in fact can control a Veeam Backup & Replication 9.0 server, thus allowing for multi-step upgrade processes. 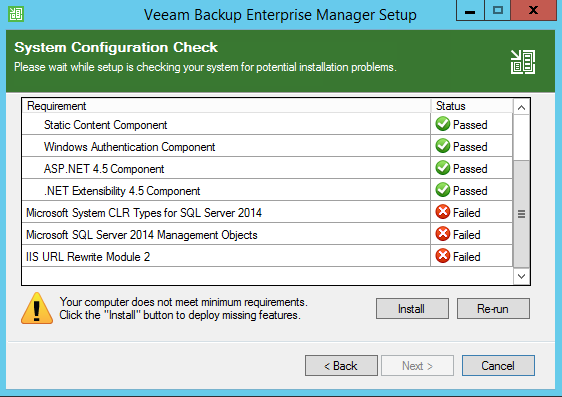 Once the Enterprise Manager has been upgraded, the following step is to upgrade the main Veeam Backup & Replication server. 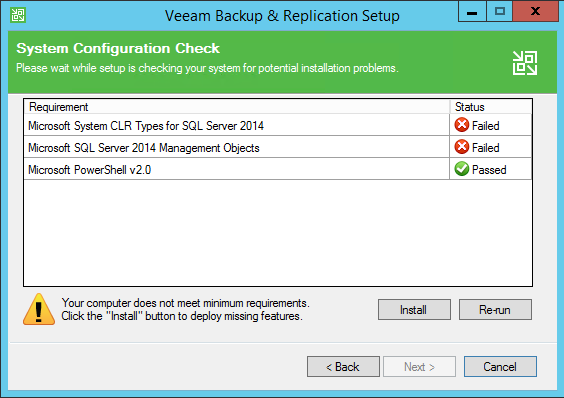 The installation completes and the new version of the Veeam Backup & Replication Server is already running. 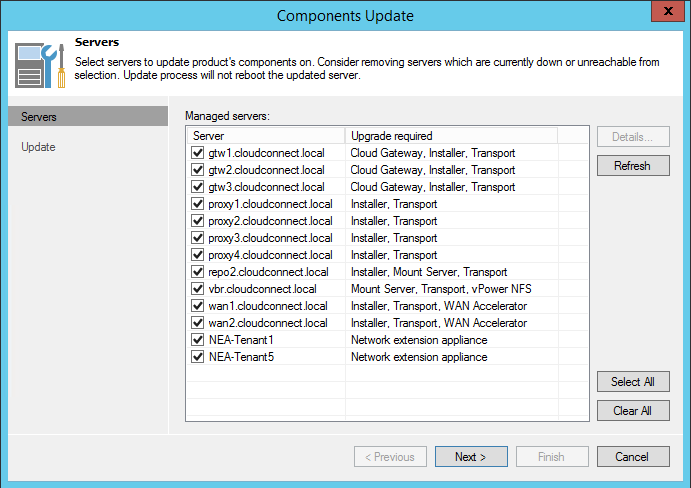 As part of the upgrade process, also the local Standalone Console is updated to v9.5. 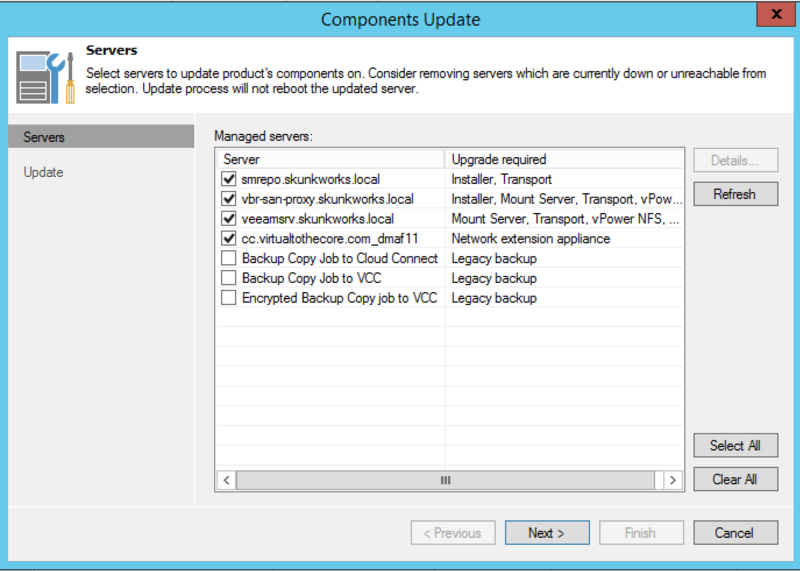 This is a mandatory step in the upgrade process that Veeam Cloud Connect administrators have to complete before the environment can be considered as fully upgraded. It&apos;s only needed to hit Next and the software will take care of upgrading all the different components, also the Network extension appliances already deployed to tenants. NOTE: proxy3 and proxy4 are not running at the time of the upgrade as they have been removed from the environment. 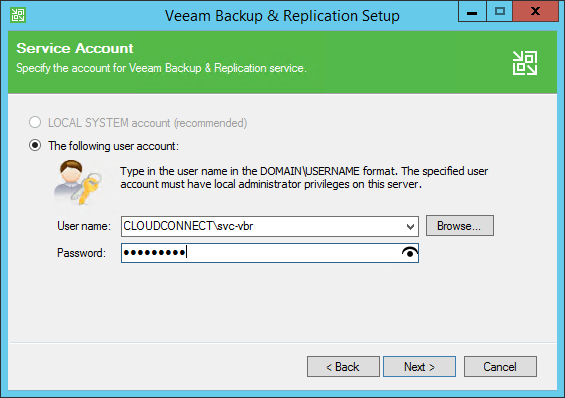 The upgrade is completed, and tenants can consume Veeam Cloud Connect v9.5 using their local installation with version 8.0, 9.0 and 9.5. 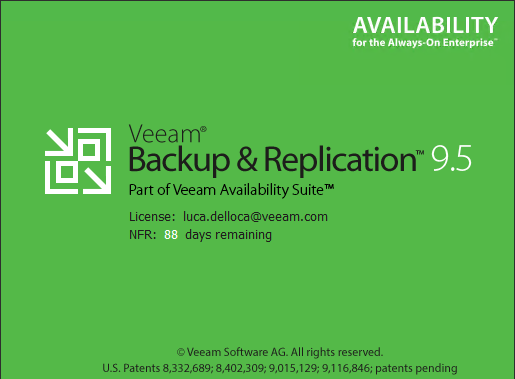 Veeam Cloud Connect v9.5 is backwards compatible with Veeam Backup & Replication v8.0 (backups only) and v9.0 (backups and replications). End users can keep using their versions of the software, or decide at some point to upgrade to a newer version. Unable to access target repository Error: Legacy cloud backup [Backup job name] detected. Please upgrade this backup first, then try again. The Job report would be sent by default every 30 minutes to the email recipient, thus heavily reducing the chances that a Legacy job is left in a non upgraded state. Legacy jobs can easily be identified by the warning sign over their icon. The upgrade takes just a few seconds, and after it&apos;s completed the warning icon disappears and the job itself keeps running again without any error.